We are offering Respiratory Protection Equipment such as Self Contained Breathing Apparatus, Artificial Resuscitator, Escape/Smoke Hood, Full Face Mask With Cartridge and many more items. Our offered range is designed at our ultra-modern manufacturing unit using quality-tested material and progressive technology in synchronization with defined industry norms. Moreover, these products are checked by our quality controllers on various parameters. Besides, clients' can avail the entire range from us market-leading prices. 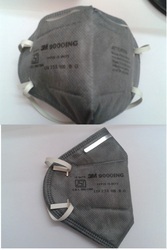 To meet the requirements of clients, we are offering an excellent quality range of 3M 9004 Nose Mask. 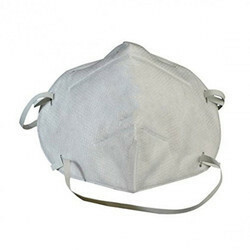 Extensively demanded protection purpose; these masks are appreciated for their high filter efficiency and low breathing resistance. These are fabricated using superior grade material and are easy to wear. 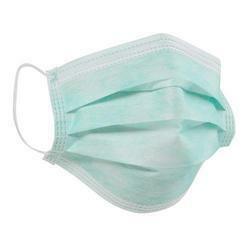 Supported by the team of diligent professionals, our firm is offering a broad range of 3M 8210 Nose Mask. The provided makes are widely demanded by various industries where there is harmful environment or polluted air. 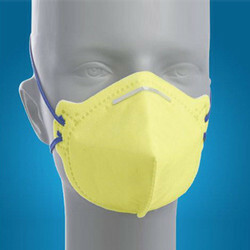 These are also recommended for people suffering from dust allergy. 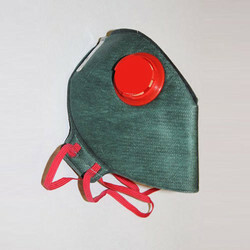 Reusable, low maintenance half face respirator. 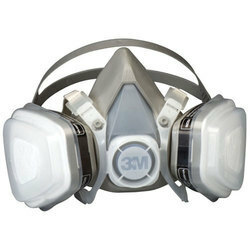 Soft, lightweight elastomeric respirator ensures comfort during long periods of work. Flexible System (gas & vapour and / or particulate filters plus Supplied-Air option). Twin filter design provides lower breathing resistance, a more balanced fit, and improves field of vision. Safe, secure Bayonet filter attachment system. Comfort Cup Style with soft inside layer and coarse dust filter. Low profile design, fitting wide range of face contours. Light weight provides greater work comfort, suits longer duration of wear. Easily worn with other face / head PPE’s. High technology Filter media with micro fine fibers & electro static charge. Outer cover web provide minimum lint. Pre filter thick pad for slow clogging on filter media. First & Unique adjuster beads gives snug fit yet relives strap pressure. Good skin comfort while in use in tough conditions. Soft nose cushion pad for seal and prevents eye wear fogging. Solids particles & non oil based Liquids particles from sprays - tested for mean particle size of 0.6 Microns. 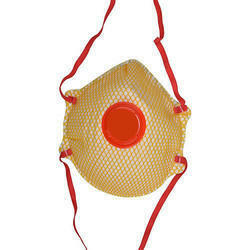 We bring forth a wide array of Venus V44 Safety Mask for our esteemed customers. These safety mask are comfortable to wear and provides firm grip to the hands of the wearer and are widely used for construction work. These products can be offered as per the client specifications that may vary from one industry to another at very affordable prices. 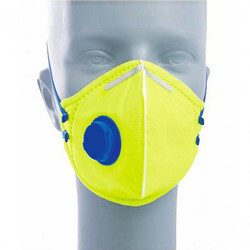 Our offered range of this fold flat style respirators is made of comfortable materials with adjustable textile braided double elastic head bands which are stitched outside the filter area to prevent the leakage. With one-way exhalation valve, these respirators provide comfortable breathing and filtering efficiency above 80%. 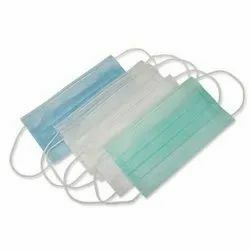 Capitalizing on the ability of our dexterous and eminent crewmen, we are indulged in the realm of providing Disposable Surgical Mask.